50 variations of color to meet and exceed all decorating needs! 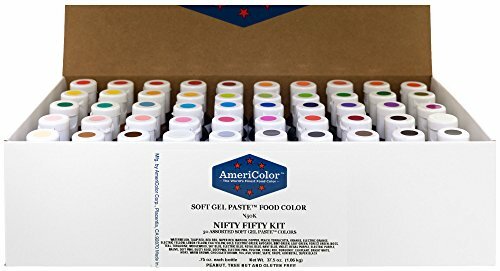 Soft Gel Paste has coloring strength superior to any other food color, it will not separate or weep and doesn't harden! This complete set makes any project easy to decorate with a variety of choices while keeping the colors consistant everytime.